Mr. Szabo made a motion to approve the minutes of 3/12/18, seconded by Mrs. Tracey. Discussion: Mr. Branagan contacted Minisink Press for a quote on the signage for the Recycling Center. Minisink Press charges $25 per sign and require a minimum of 25 signs. Mr. Branagan reported he spoke with Radata regarding the stream water testing and they are not certified to do so. Mr. Sajdak provided Mr. Branagan with contact information for Garden State Labs and he will contact them for a quote. Mr. Nause introduced himself and in response to his questioning, Mr. Branagan provided a brief summary of the Environmental Commission activities including river clean up, recycling shed, amphibian crossing, advisement on zoning and planning board applications, municipal policies, stream water testing and keeping abreast of environmental issues both locally and nationally. Mr. Branagan suggested Mr. Nause review the EC annual reports from recent years which Mrs. Wunder will provide. 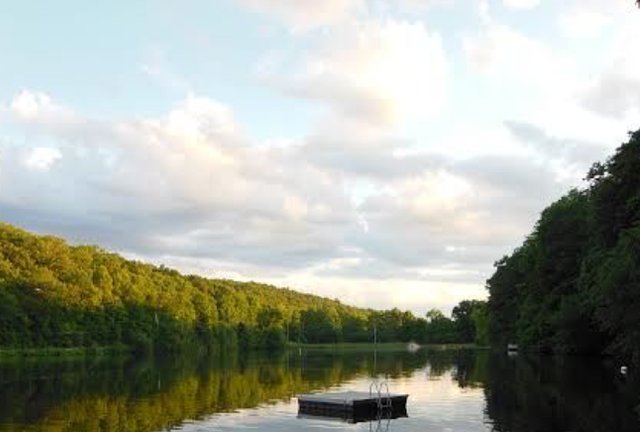 Mr. Nause expressed interest in the Paulinskill River. Mr. Blanchard provided information on the tree restoration along the river and the recent Township Committee approval to plant an additional 100 trees at Veteran’s Memorial Park along the river. Elementary school students will assist with the project in the fall. Mr. Svendsen introduced himself, stating he served on the Sparta EC for four years. Mr. Branagan complimented Mr. Svendsen on his resume and wealth of environmental experience. The regular and alternate member positions were clarified. There is one opening for each position. At this point, this portion of the meeting was opened to the public at 7:25 p.m. There being no one from the public wishing to speak, this portion of the meeting was closed at 7:25 p.m. 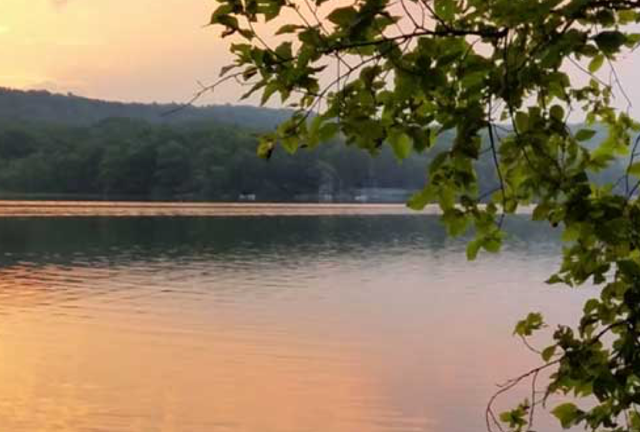 The Land Conservancy of NJ – NJDEP Green Acres Open Space and Recreation Plan Update – 3/26/18: Mr. Branagan will contact Barbara Heskins Davis at the Land Conservancy for more information. VMP Parking: Mr. Dvorsky expressed concern with the sportsmen parking on the grass at VMP during opening day for fishing. He felt they should be using the gravel parking area and he suggested signage indicating there is no parking on the grass. 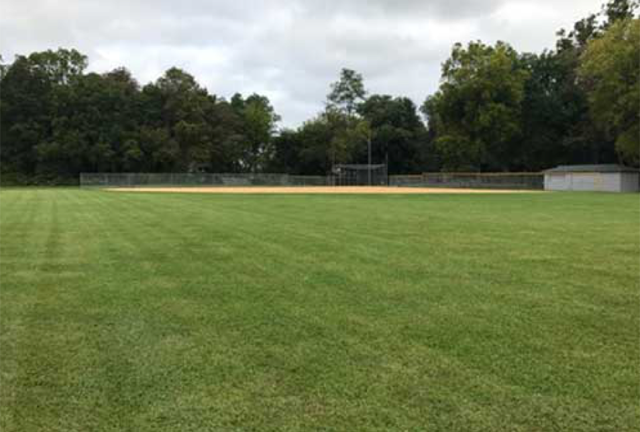 Mayor Chammings stated that when all fields are in use the grass is a part of the designated parking area. Discussion: Mr. Szabo spoke about possible noise issues associated with the drone deliveries. Mr. Blanchard discussed the environmental impact – fuel efficient vehicles for lightweight package delivery by drones; he also mentioned the noise issue. The EC felt there may be the possibility of a municipal ordinance in the future to address the matter. Mr. Svendsen stated drone batteries only last approximately 20 minutes; disposal of such batteries is hazardous waste. Delivery in Sussex County would be difficult due to the trees. Mayor Chammings felt there may be a model ordinance drafted down the line, however she was not sure you could control air space. The EC reviewed a draft letter to ANJEC written by Mr. Szabo with regard to not renewing the annual membership. Mr. Branagan felt the membership should be renewed and mentioned the quarterly report and grant opportunities. He suggested completing the online ANJEC survey expressing any concerns individual members may have. Mr. Dvorsky read the ANJEC winter report and although they could use their language more carefully, he agrees with what they do and felt it was the most important asset an EC could align itself with in New Jersey. Mr. Blanchard found it difficult dealing with ANJEC during the grant process last year. He understood both points of view and not wanting to fund a group pushing a political agenda. He would like to support ANJEC in support of other municipalities forming environmental commissions. Mr. Szabo stated the letter to ANJEC was to address their politicizing issues and he did not include items such as their cancellation of an EC presentation in 2017, expensive membership fees and access to information online. Mr. Branagan made a motion to approve the 2018 ANJEC membership, seconded by Mrs. Tracey. -6 x 6 x 12-foot pressure treated posts for mounting. Mr. Dvorsky was in favor of Mr. Vendetti’s sign for its appearance. Mr. Branagan felt Mr. Vendetti’s sign was more artistic and more of what he would like to see at VMP. It would compliment the shed sign done by the same artist. Mrs. Tracey felt Mr. Vendetti’s sign was the same style as the bridge. Mr. Blanchard stated that Mr. Vendetti did a nice job depicting what the sign will actually look like and noted both individuals are residents. Following the discussion, Mr. Branagan made a motion to accept the quote from Bob Vendetti in the amount of $2,125.00 for the sign to be installed over the bridge at VMP, seconded by Mrs. Tracey. Mr. Blanchard will request an extension for the grant to September 1, 2018. Mr. Blanchard reported on the signage along the Paulinskill River. The cost is $100/sq. ft. for interpretive/informational signs; proposing three signs. The posts are existing at the park and will not need to be purchased. Fiberglass embedded signs are the most cost effective and will be mounted in the shade and pitched; full-color with a 15-year warranty. Aliza Kawecki sent images to an artist for rendering ideas. She displayed images for the EC to review. She will provide a presentation at the next EC meeting. Mr. Branagan reported he purchased a 36” x 48” canvas for $12.00 that he will back with plywood to reinforce the sign. He will purchase tri-fold holders (4) for $15.00 at Staples to be placed under the sign. He will install a colored frame border around the perimeter of the canvas board and it will be covered with plexi-glass. Mr. Dvorsky felt the plywood would be more practical and durable than the canvas. Mr. Nause volunteered to paint the sign and he will meet with Mr. Branagan to discuss the location and details of the sign. A resolution (2018-054) was passed by the Township Committee in support of the grant application for the tree planting. Mayor Chammings met with Nathaniel Sajdak at VMP. She displayed a map depicting the proposed tree planting and discussed the greenway corridor possibilities and removal of invasives. The DPW and volunteers will participate, including students from the Stillwater and KRHS Environmental Clubs. Mr. Branagan thanked Ms. Kawecki for her help with the sign project at VMP. Red-shouldered hawk on Old Schoolhouse Road – endangered. At this point, this portion of the meeting was opened to the public at 8:47 p.m. There being no members of the public wishing to speak, this portion of the meeting was closed at 8:47 p.m. The March meeting was cancelled. -A public hearing was held on the 2018 budget on 4/17/18. 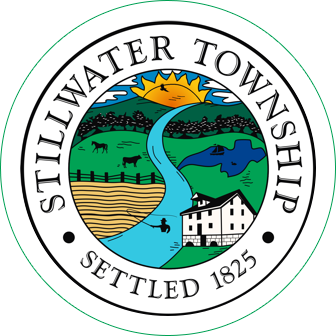 -Discussion was held regarding the agreement between Stillwater and Hardwick fire departments. Stillwater will provide coverage and will be compensated for doing so. -Land sales and land donations were discussed. -The riparian project at VMP resolution of support was adopted. – A proclamation was accepted for Child Abuse Prevention month. Mr. Branagan asked the EC to report any issues of concern they may see in the township to the Zoning Officer, tree removal, etc. Mr. Dvorsky asked if there were any concerns with the downed trees and the threat of forest fires. Mayor Chammings stated she addressed the issue with a representative of the Governor’s office and asked them to look into grant funding to clean up and remove the trees. She is still in touch with the representative who felt it was a valid concern. Mr. Branagan thanked Mr. Svendsen and Mr. Nause for attending the meeting. Mr. Szabo reported he spoke with the DPW Supervisor and they will maintain the rain barrel. With no further business to come before the Commission, Mr. Szabo made a motion to adjourn the meeting, seconded by Mr. Dvorsky. In a voice vote, all were in favor.